We welcome the return of our Paws for Reading Program for Children in Grades K-6. They may practice their reading skills and make a new friend by reading aloud to a certified therapy dog. 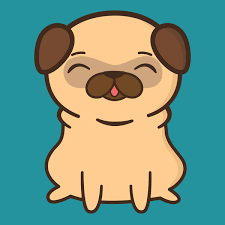 We are very excited to introduce you to our new friend Timmy, the Pug. Join us on the Second Sunday and the last Sunday of each month beginning SUNDAY, December 9th and 30th from 1PM -2:45P.M. This time includes a flexible 15-minute break for Timmy. You may sign up for a 15-minute session by calling the library. This is a great opportunity for children who are reluctant readers, reluctant about dogs, or just love to read and be with our friend, Timmy! We ask parents of children ages 10 and younger to please stay in the library. Register by calling the library or e-mailing ntkidsdesk@nioga.org, please make sure you receive a confirmation e-mail.